In order to gain access to Brightspace, you will need to click “I confirm,” to confirm that you are aware of your copyright responsibilities. This pop-up message will appear each term as a reminder about copyright. Instructors share in the responsibility to ensure the materials you have uploaded into your course space are copyright compliant. 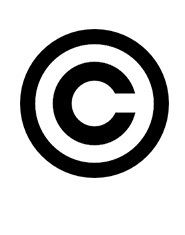 This means you have the permission of the copyright holder to upload the item, or you are making content available under an exemption in the Copyright Act, like Fair Dealing (see our Fair Dealing Guidelines here). As well, we also provide a Copyright Course Review Service on request, where Copyright Office staff will review your course space for copyright concerns, and provide suggestions/clearances for material that may be infringing. If you have any questions about copyright and your course-space, this pop-up window, or would like to take advantage of our course review service, please contact us at Copyright.Office@Dal.ca or 902-494-4346. Thank you again for playing your part in ensuring sustainable and ethical copying practices at Dalhousie.